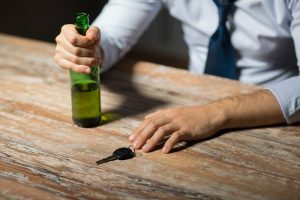 If you or a loved one have been arrested for suspicion of Driving Under the Influence (DUI) in Sacramento County, California, it’s imperative to contact a competent DUI attorney who can act quickly to protect your rights. A DUI is a misdemeanor criminal offense and shouldn’t be taken lightly. If convicted, you’ll have a criminal record that could impact your ability to secure employment, obtain credit, keep insurance costs down, and much more. DUI Attorney, Jennifer Mouzis is dedicated to helping you fight the DUI charges against you, whether you’re being charged with misdemeanor drunk driving or more serious DUI related charges, such as California Felony DUI or DUI Causing Injury. Don’t assume the evidence against you is insurmountable. There are many effective defense strategies DUI Attorney Mouzis can employ to get the charges against you reduced or dismissed altogether. There are even ways she can get a DUI expunged from your record. More often than not, police officers and medical personnel make mistakes in the course of their investigation which make it very difficult for them to convict you. As a former prosecutor, Attorney Mouzis knows where the problems of proof lie and can use her knowledge to your advantage. You Have 10 Days To Avoid A License Suspension: Call The DMV Now! When you were arrested, the police officer most likely took your driver’s license and gave you a pink slip, or a 30 day temporary license. When the 30 days are up, your license will be automatically suspended. 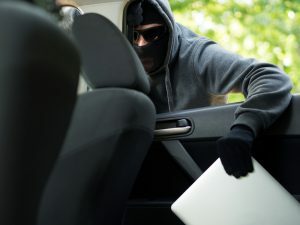 You can be granted an extension if you call the California Department Of Motor Vehicles (DMV) within 10 calendar days of your arrest (including weekends and holidays) and request a Stay, Hearing and Discovery. A Stay will allow you to keep driving after your pink slip has expired up until the date of your hearing. A Hearing allows you the opportunity to challenge the DMV’s attempt to suspend your license. If you retain DUI Lawyer Mouzis as your attorney, she can schedule this hearing up for you. 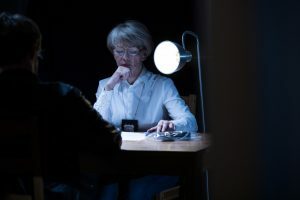 She will also send a written request for discovery, which is the evidence in your case — a copy of the police report, blood test results, breathalyzer result, surveillance tapes, etc. DMV hearings only applies to alcohol arrests. If you got arrested for a California DUI of drugs charge–including DUI of marijuana, DUI of Vicodin or DUI of Ambien–there is no DMV hearing. A conviction of a drug charge in court would result in a license suspension. Vehicle Code 23152(b), driving with a Blood Alcohol Level of 0.08% or more. There is always a margin of error in DUI arrests. Law enforcement may neglect to follow standardized procedures in the roadside investigation, evidence may be contamination or breathalyzers may be defective. Improper Stop: Did the officer have probable cause to stop you? Did they have a valid suspicion of alcohol impairment? The Fourth Amendment of the Constitution protects individuals from unreasonable searches and seizures. If there was no probable cause to stop you, any questioning or field sobriety tests performed are not admissible and a motion to suppress can be filed to have the evidence thrown out. Field Sobriety Testing Protocol: Did the officer administer these tests in accordance with protocols established by the National Highway Traffic Safety Administration? We can subpoena the video footage of the traffic stop to verify if protocol was followed. Rising Blood Alcohol Contamination: To be convicted, the prosecution must be proven that your BAC level was at .08 at the time you were driving. This is significant because it takes the body anywhere from 45 minutes to 3 hours for alcohol to be fully absorbed into the bloodstream after you’ve stopped drinking. The more time passes, the higher your blood concentration will rise. If you were tested an hour or two after your last drink, you may test over the legal limit because your body was still absorbing alcohol. If your absorption process wasn’t complete by the time you submitted to a blood or breath test and your BAC was still rising, we can claim that your BAC was exaggerated and not a true representation of what it was at the time you were driving. Blood Inaccuracy: It’s not uncommon for contamination to occur in laboratories — test tubes may be out of date and not sterile, blood is not refrigerated, or there could be mishandling of samples by lab workers. DUI Attorney Mouzis can arrange to have a sample of your blood retested by an independent facility for both alcohol and preservative. Wet Reckless: You agree to plea to a reckless driving involving alcohol charge. Call today for an appointment for a consultation to discuss your DUI case.